By Jon Tewksbury Posted: October 11, 2018 10:00 a.m. The largest investment in research this year was announced this week by the Honourable Kirsty Duncan, Minister of Science and Sport. More than $558 million in funding through the Natural Sciences and Engineering Research Council of Canada (NSERC) means that nearly 4,300 researchers and students throughout Canada will have the means to pursue world-leading research. 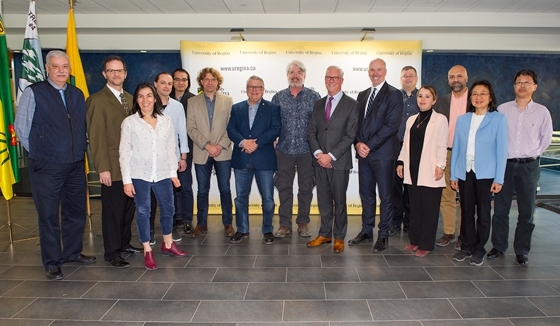 At the University of Regina on Wednesday, as part of this historic investment, the Honourable Ralph Goodale, Minister of Public Safety and Emergency Preparedness, on behalf of Minister Duncan, announced more than $4 million in funding in support of 18 U of R science and engineering scholars and researchers through the NSERC Discovery Grant and Scholarship program. “Congratulations to the U of R for fostering an atmosphere where curiosity and bright minds can flourish so successfully. The investments we are making today in this University will give researchers and students the foundation they need to explore the new avenues of discovery that will benefit all of us,” said Minister Goodale. The array of research supported by this round of significant NSERC funding ranges from AI to carbon capture and from how our brains work to enhancing oil recovery. 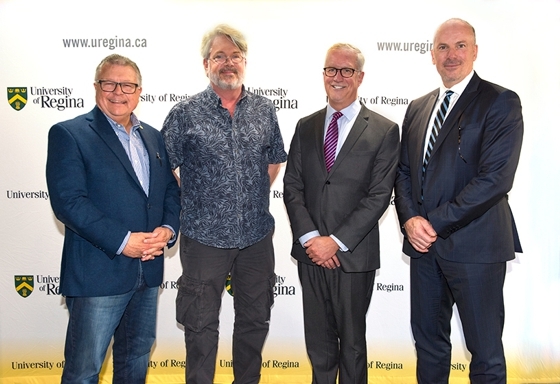 “This is the high quality, high impact work our University of Regina researchers are undertaking thanks to the support of research partners like NSERC,” said Dr. Thomas Chase, U of R Provost and Vice-President (Academic) before the crowd assembled for the October 10 announcement. The University of Regina is home to 17 research centres and institutes that enhance the teaching and research opportunities available on campus and serve as catalysts for interdisciplinary collaboration and innovation. One of the NSERC Discovery Grant recipients, global pioneer in paleolimnology, Dr. Peter Leavitt, spoke at the announcement. A professor in the Faculty of Science and Canada Research Chair in Environmental Change and Society, Leavitt was recently named Fellow of the prestigious Royal Society of Canada. He received his NSERC support for researching landscape effects of nitrogen on aquatic ecosystems.